Take a journey through the rain forest, observing flora and fauna. Text explores the interrelatedness of life forms with the aid of vibrant, full-color paintings. 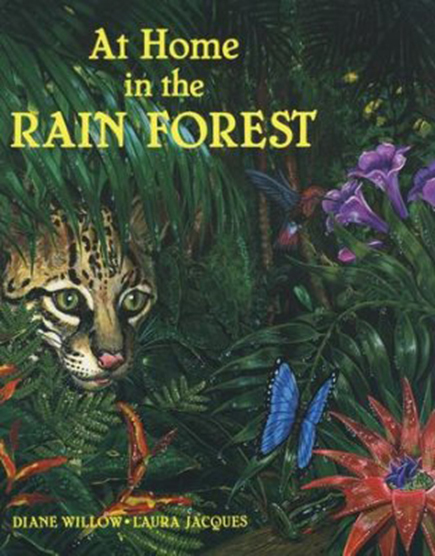 Vivid illustrations add to the narrative about the rain forest and its inhabitants. Available in Spanish or English. Recommended for ages 4-8, 30 pages.